Welcome to Paella Sunset. We are a family run business based in the brecon beacons offering freshly cooked paella sourced from directly from spain. Established in 2013, our growing popularity has taken over and we have been involved in many local and national festivals and events. In addition, to private party catering which has included a number of weddings, birthdays and team building events. Catering available from 25 guests to 500 we bring the catering to you inside or out with out pop up gazebo and serving station. 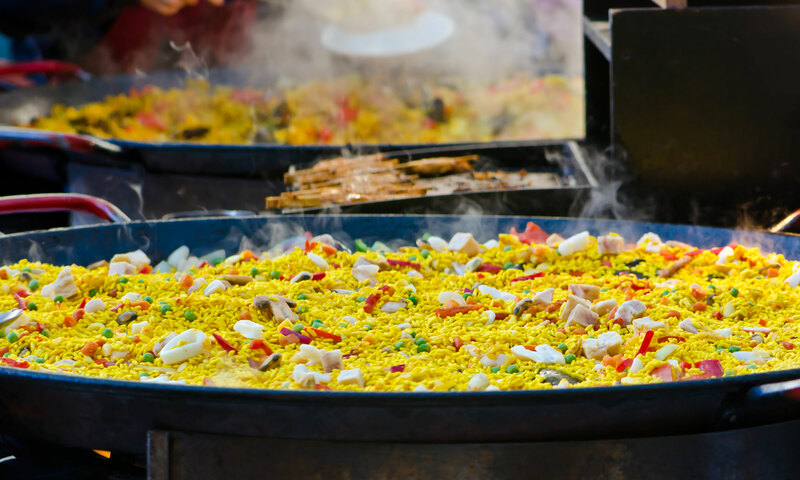 We are happy to provide catering for corporate team building events which provides you and your team a opportunity to learn how to cook paella and be rewarded with a meal. As a fast growing business with returning costumers we now offer hogroast catering with our new tasty trotter hogroast machine providing you with delicious spit roasted pig and all the trimmings, why not mix that with the paella?